Leghoger Part1. 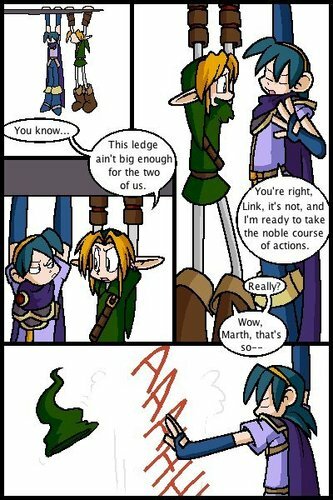 Damn wewe Marth XD. Wallpaper and background images in the Super Smash Bros. Brawl club tagged: super smash bros. brawl leg marth and link. This Super Smash Bros. Brawl fan art contains anime, comic kitabu, manga, cartoon, mkono, and kubadilika kioo dirisha. That's what i would do if it was me vs my friend, hanging from the ledge and all that.